The global e-commerce marketplace is growing steadily – making online shopping an increasingly competitive space. During 2017, approximately 1.66 billion people purchased goods online. Worldwide online retail sales are estimated to reach 8.8% of total retail spending in 2018 as compared to 7.4% in 2016. 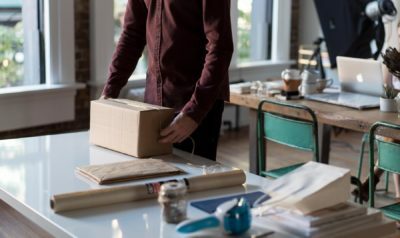 In this environment, it makes sense to gain a foothold in the e-commerce market – but how do you go about building a successful online store? Perhaps the most important component of any online store, your product photos are the one connection that your potential customers will have with the goods or solutions that you’re selling. It’s therefore well worth investing in a professional photo shoot or at least ensuring that your product images are high quality and photographed with good lighting. As your shoppers won’t be able to interact with your products physically, it’s often a good idea to include a small gallery of images for each product, depicting the product at different angles and in context. This way, you can showcase the usability of your products and inject some of your brand personality into the imagery. Don’t forget to include a larger version of the photograph with a zoom function so your users can inspect the details. A frustrating check-out process can send your customers running into the arms of the next online competitor. Reduce churn and boost conversion by creating an experience at check-out that is simple, fuss-free and intuitive. You also need to build trust, by explaining your security features and including any relevant security logos in this space. Make sure your check-out button is big and visible. Once your customers are in checkout, make it easy for them to view their cart by including images of the products they’ve chosen, but be sure to also make it possible for them to remove or add items at this stage. Forgetting ethics and laws governing consumer rights in certain industries – the shopper could abandon the whole cart just because one item can’t be removed or substituted. Another thing to remember is to include a clear breakdown of costs at this point, including VAT. The customer needs to assess these costs before commencing the payment process or sharing any personal banking details. Also, users who are not yet registered may need to share their personal details for the first time. Make this process as painless as possible, only asking for information that is necessary. Every online shop needs to be mobile-friendly, if not mobile-first. Mobile shopping is the fastest growing segment in e-commerce – valued at USD 3.2 trillion in 2017, up by a staggering USD 1.5 trillion since 2013. No matter what device they’re using to browse your goods, your site needs to work perfectly for your mobile users. It also needs to be designed for fingers and thumbs to tap important tabs, links and icons. The last thing you want is a “buy now” button that’s difficult to isolate and manipulate due to a design that is too cluttered. Together with your powerful product imagery, the copy you place alongside your products – to explain what they are – is your sales pitch. You need to achieve a lot in a few words: introduce your product, explain how it can add value to your customer’s life, and describe what makes it different to similar products on the market. And while you’re doing this, you need to express your unique brand personality through a consistent style and tone of copy that is used throughout your website. When your site starts to feel too cluttered, a great way to streamline your content and help your customers is to include a clear and informative FAQ (frequently asked questions) section. Here, you can include all the important information about your products, company and policies that your customers may need to know. Remember to write these questions and answers in a friendly and helpful way, as if you were explaining the same thing over the phone or in person. Above all, be customer-centric! As you are designing your user experience and building your website, styling your imagery and writing your content, make sure that you’re making every decision with your customer in mind. How can you make their online shopping journey simpler, more rewarding and memorable? Answer these questions carefully and then use this as the foundation of your e-commerce strategy. Of course, we haven’t even begun discussing how to build your website yet, how to handle the payment gateway, or how to keep it secure. Why not give us a call or drop us an email to chat about this further? Need to sell stuff online?